Surgical malpractice occurs when a physician or surgeon deviates from the standard of care required under the circumstances presented. The surgical errors attorneys at Ginzkey Law Office, located in Bloomington, Illinois are dedicated to protecting their clients’ rights when their injuries are caused by surgical error. In the last few decades, more and more surgeries have been performed using “minimally invasive” techniques. These techniques include laparoscopic surgery, which uses fiber light optics and trocars to avoid lengthy incisions. Even robotic-assisted surgery is now common. 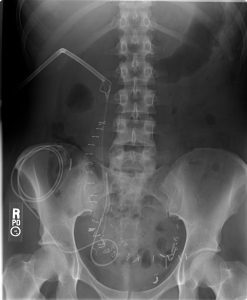 In an appropriate surgical case, these minimally invasive techniques do, in fact, offer patient benefits. But there are also drawbacks. These techniques afford surgeons a limited visual field and proper visualization of the anatomy is sometimes compromised. Additionally, certain surgical instruments now cut and cauterize at the same time. But if such an electrical surgical unit (ESU) is not on the proper setting, distant thermal injuries can occur and not be detected. Also, an increasing number of surgeries are performed at ambulatory surgical centers rather than at hospitals. Surgeons frequently have a financial investment in the surgery center, which provides a financial incentive for a surgeon to schedule his cases at the ambulatory surgery center rather than the hospital.High-risk patients should always avoid an ambulatory surgery center. If serious complications arise during or shortly after surgery, ambulatory surgery centers do not have the intensive care units to proved rapid intervention. An ambulatory surgery center will not have a Code Blue Team or a Rapid Response Team. If you feel you need a surgical malpractice attorney due to injuries caused by a surgical mistake, contact James P. Ginzkey and Chase T. Molchin.